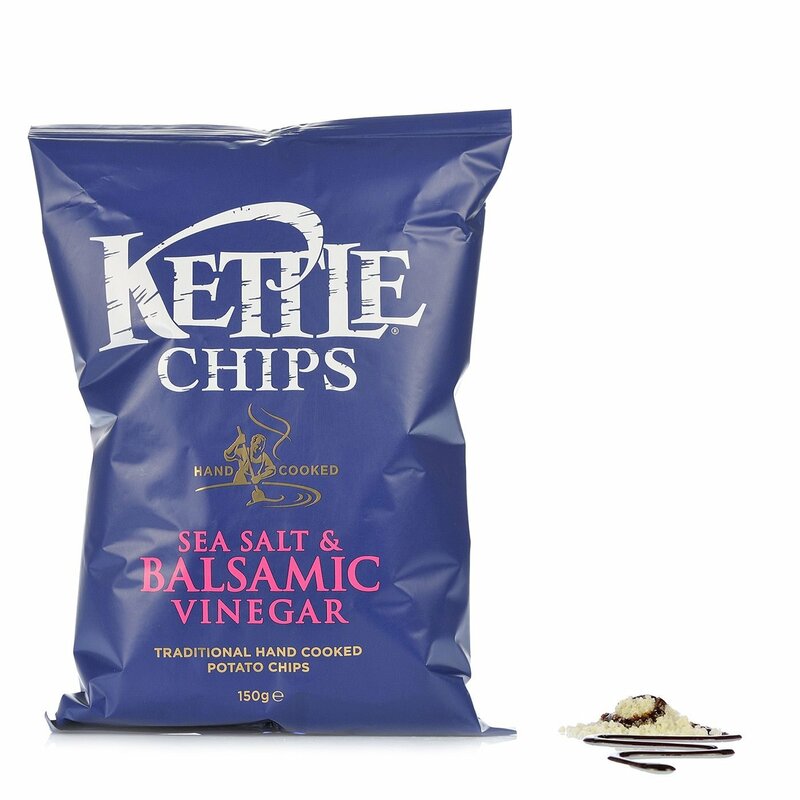 Kettle tradition and experience bring you crisps with sea salt and balsamic vinegar. An incomparable crunchiness is the distinguishing feature of these potato crisps which can be recognised by their unique taste, balanced by the sharpness of the vinegar. Try them for an aperitif with friends, accompanied by a cool soft drink or a beer with a pleasant flavour of hops. Ingredients Selected potatoes, sunflower oil, sea salt, dried balsamic vinegar, maltodextrin (from potatoes), white sugar, dried malt vinegar, acidifier: citric acid extracted from sugar beet molasses. ALLERGENS: contains barley and gluten. For more information on product labels, please contact our Customer Service department. The information on the labels of the products may vary for reasons beyond our control, therefore, there may be discrepancies between the information on the site and that on the products delivered. Please always check the information on the product before consumption or use. 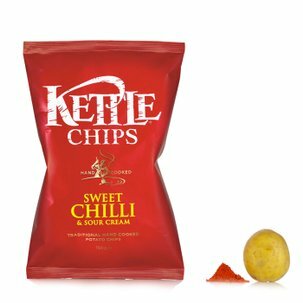 The best of crisps in a bag: fried in high quality oil, flavoured with all natural ingredients, golden and crunchy. Since 1982, Kettle has carefully selected the ingredients it uses to make its unique, genuine and delicious crisps, the only ones that have been certified by the 'non-GMO project', a non-profit American organisation that verifies the naturalness of food in order to offer consumers the best tools so that they are aware of what they eat.